You probably know that if you’re injured in California because another person was negligent, you are entitled by law to monetary compensation for your medical treatment and related losses. However, as Pasadena car accident lawyers, we know that a number of mistakes are often made by personal injury victims that put the compensation they are entitled to at risk. Keep reading. You’re about to learn what mistakes personal injury victims frequently make, how to avoid them, and how to obtain the compensation that you deserve if you’ve been injured because another person was negligent. 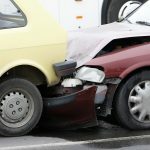 EXACTLY WHAT MISTAKES SHOULD PERSONAL INJURY VICTIMS AVOID? If you’ve been seriously injured because of negligence in any kind of accident – in a traffic crash or a slip-and-fall accident, by a defective consumer product, or even in an incident of medical malpractice – you cannot make any mistakes that might jeopardize your compensation. Seek medical attention at once after any accident that results in your injury. Some injuries may seem trivial, and you may feel spectacular, but later, hard-to-detect or latent injuries can become quite serious medical conditions. It is imperative for a doctor or another healthcare professional to examine you immediately after an accident – within at least 24 hours. Otherwise, if you later choose to pursue a personal injury claim, you won’t have any evidence that your injuries were sustained in that specific accident. WHY ELSE IS IMMEDIATE MEDICAL ATTENTION SO IMPERATIVE? Any failure to seek immediate medical attention or to keep follow-up appointments can raise doubts about your injury and put your compensation at risk. 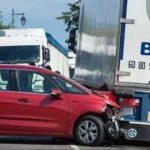 To prove that an accident – and your injuries in that accident – caused you to suffer particular financial losses, you must have credible and precise documentation of those losses. A common mistake that you must avoid as an injury victim is the failure to gather and hold all of the documentation and evidence that could help you recover compensation after you’ve been injured by someone else’s negligence. An experienced Pasadena personal injury attorney can advise you after an accident, but when an accident happens, no lawyer will be there to tell you what needs to be done. When an accident happens and you’re injured, try to think clearly. You’ll need to take some important first steps. WHEN YOU’VE BEEN INJURED, WHAT ARE THE FIRST STEPS TO TAKE? Get medical attention first. That is absolutely the first and immediate priority if you’ve been injured. If it’s a traffic crash, summon the police, and make sure that you know how you can obtain their written accident report and when it will be available. If you’re injured at a restaurant, hotel, attraction, public facility, or retail location, report the accident to the management. Most of these facilities will have a pre-printed accident report form. When you complete that form, make sure that you obtain and keep a copy for yourself. Take photos of the accident scene and your own injuries. If it’s a car wreck, get photos of the vehicle damage and the license plates. If there were eyewitnesses, try to get their names and contact information. Your lawyer may need their statements or testimony if you take legal action. Copy and securely store all of the photos and documents generated by your accident and injury. Too many personal injury victims show up for the first meeting with a personal injury lawyer, and they have no medical records, photos, or other documents to prove that they’ve been injured. Misstating, exaggerating, or otherwise falsely representing any detail of your personal injury claim can have severe legal ramifications. You could even be criminally charged for fraud. 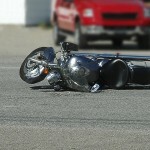 Fraudulent injury claims are not at all unusual. In fact, some researchers believe as many as fifteen percent of all personal injury claims are fraudulent. You must be as accurate, precise, and honest as possible. Exaggerating the extent of your injuries is a serious mistake. When an injury victim files a personal injury claim, that victim’s credibility will be scrutinized. Any dishonesty regarding any detail could discredit you and your claim. The best strategy is to write out the details of what happened, and then stick to that account. If you sustain a personal injury because another party was negligent, don’t speak with that party’s insurance company. Instead, refer the company to your personal injury lawyer. Don’t sign or record any statement for an insurance company. 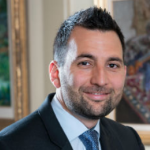 Anything you say could be used against you in a personal injury case. Don’t negotiate with the company for your settlement – any offer they make is likely to be for an amount far less than your injury claim is worth. Instead, let an experienced Pasadena personal injury attorney do the talking and negotiating on your behalf. Injury lawyers routinely handle settlement negotiations with insurance companies on behalf of clients. Your attorney will know what it takes to win the compensation you need. If you’re injured because another person was negligent, as soon as you’ve been examined by a doctor or another healthcare professional, discuss your rights and options at once with an experienced California personal injury lawyer. The sooner you put your injury case in the hands of a trustworthy injury attorney, the better. You’ll need to refer the insurance company to your lawyer, and the company will probably contact you in the first few days after you’ve been injured. Moreover, evidence can deteriorate, witnesses can forget, and over time, evidence and witnesses can simply disappear. You need to put your attorney to work while the evidence and the memories are fresh. If you’ve been injured because someone else was careless, you have the right to compensation, and you have the right to a good attorney’s help. Get that help as soon as you need it. Your future could depend on it.